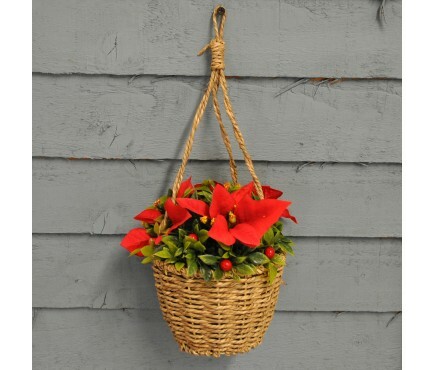 Create a festive display of colour with this decorative topiary basket, great for adding more life like colour to the festive season. 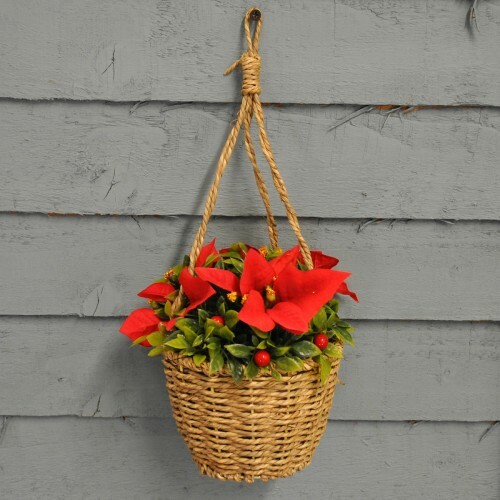 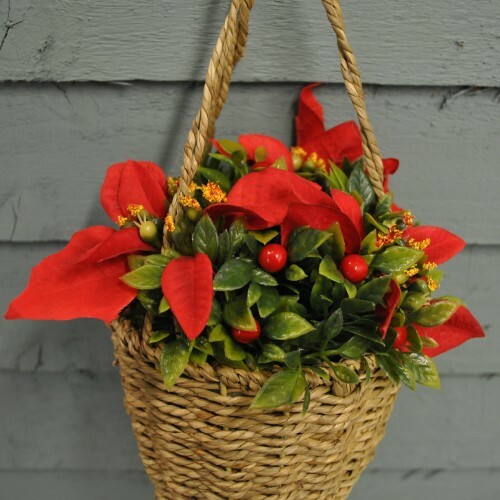 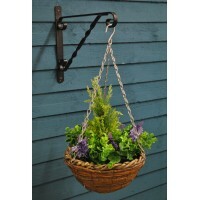 This Bouquet basket comes with its own naturally woven hanging line that weaves directly into the basket making a flush and ready to put up decoration with no extra stringing or maintenance required with other natural hanging baskets. 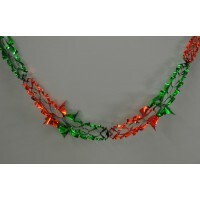 This product is weather and UV resistant to keep its colour all the way through the festive seasons and seasons there after. 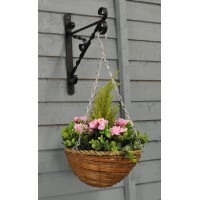 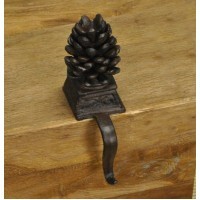 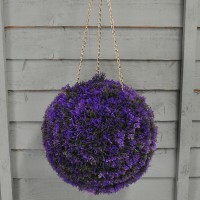 Can look exceptionally pretty hanging by doorways or placed on a table top.